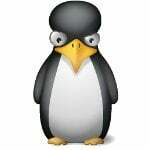 How do I set or change Linux system password for any user account? 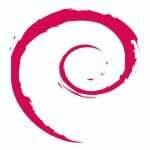 How can I change user password on Linux operating system using the command-line options? Both Linux and UNIX-like operating systems use the passwd command to change user password. The passwd is used to update a user’s authentication token (password) stored in /etc/shadow file. The passwd change passwords for user and group accounts. A normal user may only change the password for his/her own account, the super user (or root) may change the password for any account. The administrator of a group may change the password for the group. passwd also changes account information, such as the full name of the user, user login shell, or password expiry date and interval. Could you help me how to edit the commands before booting in CentOS? I can’t seem to get it right. choose the desired OS, in this case CentOS then press e for edit then select the kernel then press e again and type space linuxsingle then enter to accept changes, press b for boot. They told me that a prompt will appear but there is none so that i can type passwd to change the password and username. Pls. help me. I am Aloka . 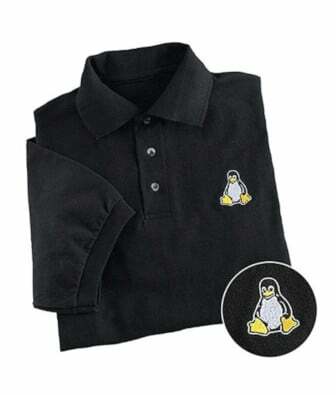 I am student of computer science & I have linux on my machine. i forgotten the username & password of it. can u help me for this for changing the username & password. I have done the Alt + CTRL + F1, because I’m new user to LINUX how can I know User and the login password? Go to linux rescue mode (single user mode) at the boot prompt when the linux image is loaded and reset your password through the prompt. As a root user I want to reset lost of passwords and want to set each users password with a single command i.e. not have to be asked to type passwords afterwords. So the command needs to include the new password and not require the old one. How can I change the root password while I’m only a user of it? Please reply me, as fast as can be. if your user account dont have privlages enough to run as su, your sol. AeSix, Don’t you know how can I get or reset password of another user if i am user with limited privilages?! help please…. practice, but i really need to do it. There you can set whichever password you want, which might not be the case when you run the passwd command as a user. I am using Cant OS 5.2 with DC & BDC, pls advise if any tool available to monitor it easily from nework. is there anyway to READ the password of user instead of reset it if I have root access? @Charlie Seah Kam Fei , short answer, NO. I want to know how to know d previos password of d super user…how can it be done?? or change d password of d superuser without having to know d previous one…is dis possible?? It doesn’t show you a caret but just type ahead. Unix terminals work like that when asking for passwords. Supposedly it’s intended to prevent those looking over your shoulder from seeing how long your password is. Now i want to set default password say “xyz” to all 70 users (te1 to te70). Notice the echo line? You should also set the line after, which tells users to change their password when they login. You can remove this if you wish. hello nandini which flavour r u using…..
Can you please contact me for the purpose of cooking you in order to extract your flavor? Thanks for the information. Could you please help me how to create virtual screens like tty/8 ty/9 etc. I am satish. I am student of computer science & I have linux on my machine. i forgot the forgot to enter into my linux os…. can u help me how to reset it…. How a user is able to change his own password /etc/shadow file when he doesnâ€™t have even read permission on it? im lock out of my laptop and i forget the password any suggestions? if normal user can’t read /etc/shadow file then how will they reset own password. do any version of linux support this? is it the same on all version of linux? 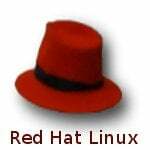 i need a script that can change ALL Redhat Linux (CentOS) email accounts at once to one password. Which file should I check in centos5 or rhel 5 for commenting out the password history so that I can keep on continuing using same password to login to the server? i need to add active user in single command line. when i add user like useradd username -pPWD. but i cant log into linux using new username and password. please help me.. Whenever I enter the new password all I get is authentication token manipulation error password unchanged. What am I doing wrong? How to create a password and change password of a user account in VPN. Changing finger information for root. and closed automatically, please help me. Hi. hw can I write a linux over older linux?? what should i do and how the password i found it and change it .?? Cool tutorial, but how to set a superuser password? I have no password set, so what do I put in when it asks for what my password is now? And it won’t even let me type in the space provided! 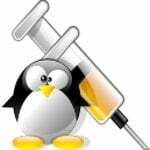 how to set default password for user in Linux ?? A nice simple article Vivek, but the problem as it seems are the ppl who can’t read :) Maybe you should ask if you need to chew also for them when they want to eat, joking. i forgot the password of my Linux vmuser. what can i do ? wonderful page. It helped me beautifully.